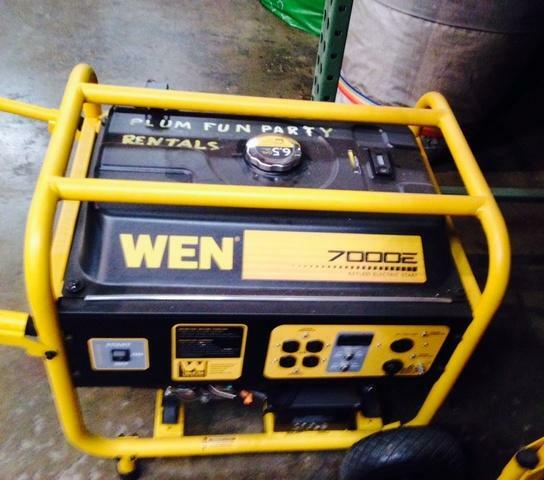 This generator can handle a bounce, backyard popcorn machine, and backyard cotton candy machine or 3 bounce houses for approximately 4-5 hours. Comes with full tank of gas. Additional gas is extra.